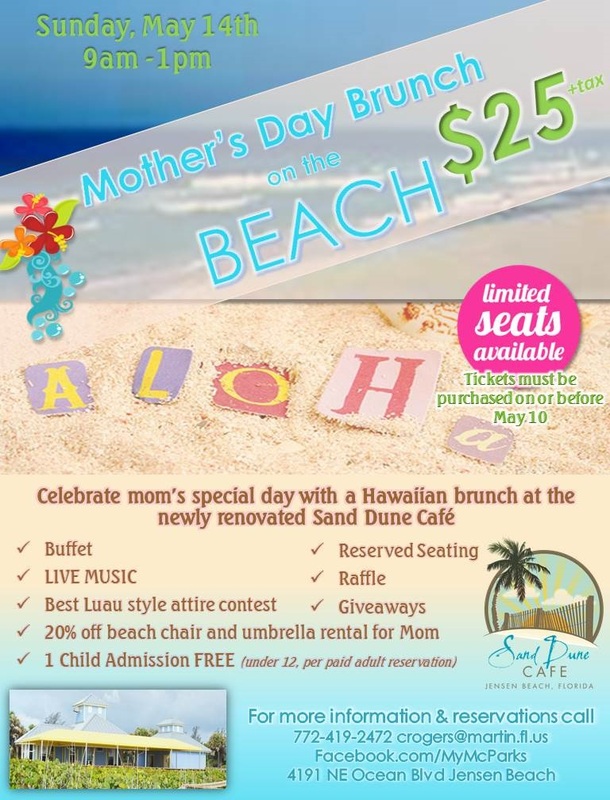 Treat Mom to a special brunch experience on the beach at Sand Dune Café. Come and enjoy unlimited buffet, live music, contests, giveaways and more! Check our Facebook Event for more details or call us at 772-419-2472. Limited seats available, buy your tickets now and let us take care of the rest!